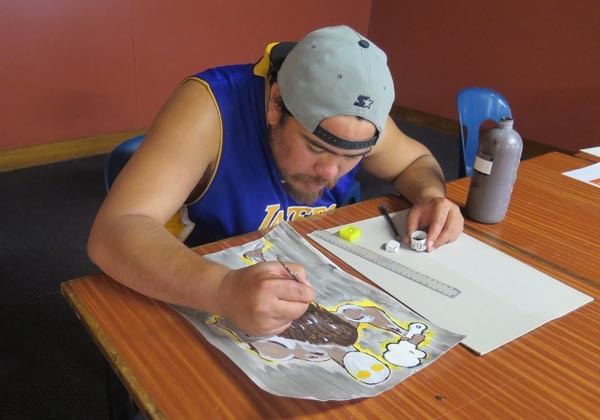 Tufuga Arts Trust, a creative space in Te Puke Otara Community Centre in South Auckland, offers two art sessions a week for people with lived experience of mental ill-health. Formed in 2004, the trust wants to move into bigger premises where it could be open five days a week and include more arts activities. 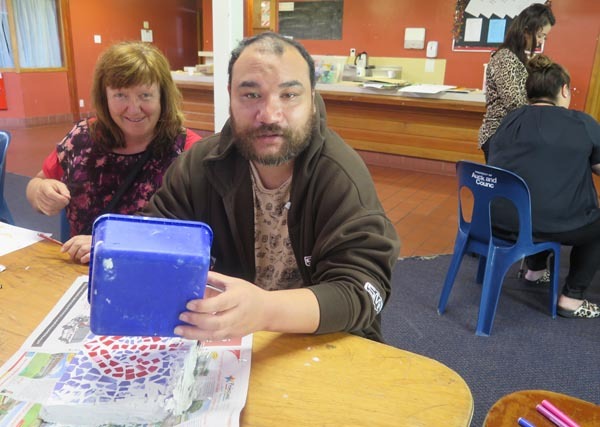 There are seven members on the trust, including Jenny Aguilera and Colin Wallace, who started the art group in Otara in 2001 and have been trust members since 2004. 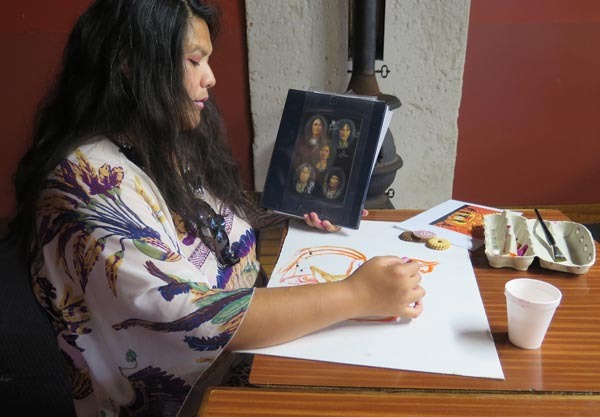 For Jenny, an occupational therapist in Community Mental Health at Counties Manukau District Health Board, it’s all about harnessing the healing power of art. Fellow occupational therapist Natasha Keay is Chair of the trust. “Tufuga aims to address inequity in the arts. Our vision is to provide a supportive space for artists to explore their creative interests. Everyone has a valued place in society. The 15 to 20 people who attend the sessions work on individual projects, supported by facilitators. They work with a variety of media, including acrylic and watercolour paints, pastels, pencil, collage and mosaics. Trips are also offered to local museums and art galleries, along with organised sketching trips. The trust has held four group exhibitions. The most recent was Lotus in Bloom, which opened during Mental Health Awareness Week in October 2015. In the past, Tufuga has also collaborated with the local NGO Framework Trust, whānau and the wider community, to produce a pantomime. Counties Manukau District Health Board supports Tufuga Arts Trust by enabling its five facilitators, all employed by the DHB, to facilitate the sessions. However, it has to apply for grants to cover the cost of materials. Original generation time 1.2142 seconds. Cache Loaded in: 0.0174 seconds.